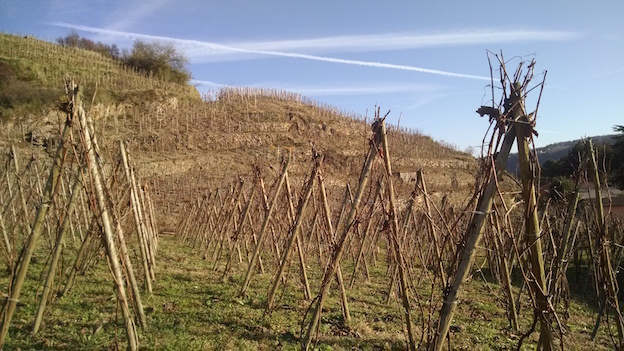 This is the best of times and the worst of times for northern Rhône wine enthusiasts. Recent vintages, especially 2013, yielded more outstanding wines than ever before but yields have mostly been low, sometimes pitifully so. On top of that, worldwide demand for the top bottlings is on fire, making the task of tracking them down a difficult and increasingly expensive endeavor. Steadily growing demand over the last few years for the best wines of the region has not only decimated the always-small inventories of the top producers, it has quite literally spilled into the future. During my December and February visits to the area, a number of producers told me that they have had to cut back allocations, often severely, for longstanding export markets, collectors and restaurant clients just to have wine for their own personal stock and for the occasional lucky tourist who might stop by their cellar for a visit. A rainy winter raised growers’ hopes for a healthy crop in 2014 and budbreak occurred without a hitch in early March. Spring gave way to summer with seasonal warmth and dry conditions and the growing season was actually almost two weeks ahead of schedule, which always makes the locals nervous. And in this vintage, unfortunately, the paranoia was justified. The flowering mostly took place during the first week of June and was followed almost immediately by incessant rains that accumulated around 175 millimeters for the month. On top of that, hailstorms—often serious—dotted the region, resulting in total loss of crop for some vineyards. Rot was also an issue, forcing growers to work overtime to remove damaged fruit as well as to thin a large crop of bloated grapes caused by the abundant rain. Temperatures basically stalled out and stayed relatively low through July and finally started to rise enough for veraison to take place during the first week of August, a month that saw a bit of rain on the 18th and then almost completely dry weather through to the beginning of the harvest of the red grapes, which commenced in mid-September. 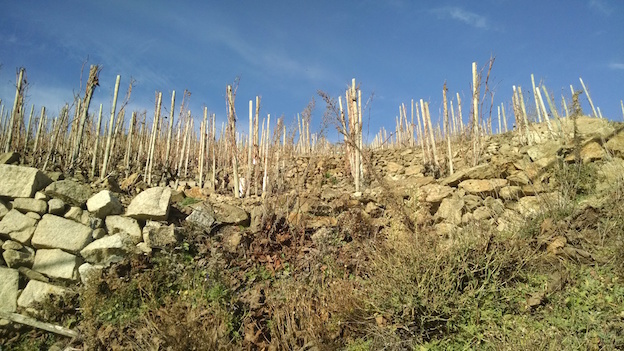 The vineyards enjoyed very good conditions (other than some rain on the 20th) through a relatively late harvest of ripe fruit that extended in some cases into the second week of October, “like in the 1970s or ‘80s,” as Agnès Levet commented. An added twist to 2014, which had serious implications across Europe, the plump grapes attracted a new fan, a recently arrived Japanese fruit fly called Drosophila suzukii, which lays its eggs inside ripe, dark-colored fruit. When the unseen eggs hatch, the larvae begin to eat, undetected, causing rot that is mostly unnoticeable until it’s too late and the grapes—even entire clusters—are unusable. Needless to say, only those producers with the ability, financial resources and willingness to make drastic selections were able to fully eliminate the damaged grapes. As for the 2014 wines themselves, the whites are generally a big success, with very good ripeness, concentration and complexity thanks to the long growing season and late harvest. The reds show plenty of fresh, classic Syrah fruit and solid but not excessive tannins, which should allow them to be approachable on the youngish side. They can be reminiscent of the 2011s, another vintage marked by rain, but there’s an added dimension of richness and fruit expression to the ‘14s that is the result of the late harvest. In contrast, 2013, which was a vintage picked in most cases even later than 2014, produced white and red wines with great energy thanks to cool spring and summer conditions that helped to preserve acidity. While the tannin levels of the reds are on the low side, at least compared to more structured vintages like 2010 and 2009, the majority of the wines are nicely balanced, with intense red fruit character and more than adequate tannin structure to allow for at least mid-term aging. In fact, for fans of graceful rather than powerhouse northern Rhône Syrahs, 2013 is proving to be an outstanding vintage. 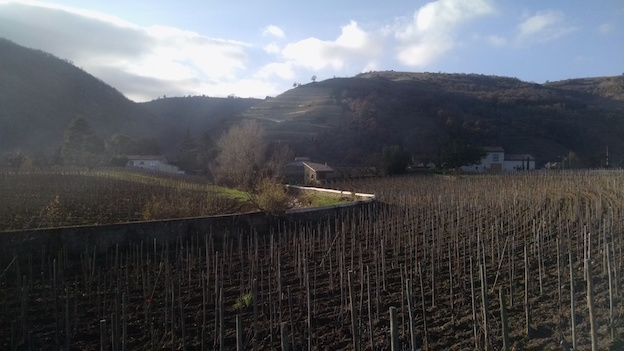 I tasted the vast majority of the wines reviewed in this article in the producers’ cellars during my December visit to the northern Rhône Valley and followed up with additional bottles in New York in recent weeks.